AMT receives many requests for new and reissued Parts Packs. 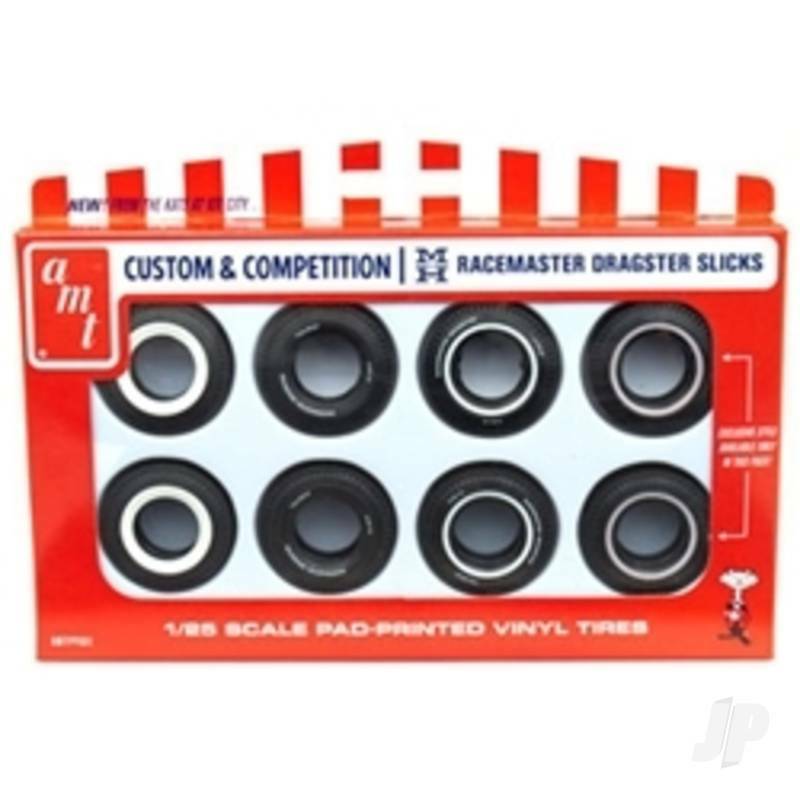 Due to the extreme popularity of our re-tooled and pad-printed (pre-decorated) vintage M&H Racemaster Dragster tires included in certain AMT kits, we're now offering a special tire parts pack. It includes 8 tires and features one exclusive style available only in this set.